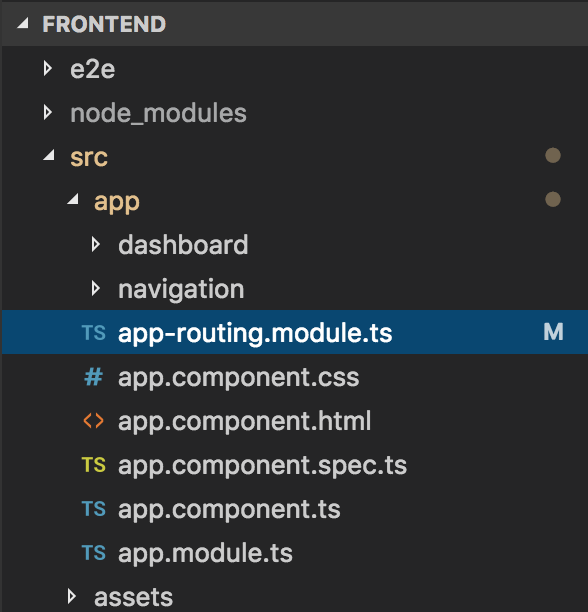 I gave you an overview about routing in Angular. In this tutorial, we will apply it to our Questions Management application. As you can see, we only have a Dashboard page so we can only configure this page. Any request with a non-existent URL will also be redirected to the Dashboard. At this point, if you run the application, you will see that the content of the DashboardComponent component will be returned, no matter what access to your request. Then, replace the href attribute in the <a> tag in the following files using the Angular routerLink directive. OK, so we have finished applying the Routing application to Question Management.